What to see in Menorca? , Curiosities of the Island? When we think of Menorca, we always come to the beautiful sunsets with crystal clear waters, but the island has more to show than just these elements. If it is the first time you are going to visit it, we are going to talk about typical places but also of small corners not so well known by tourist, so you don’t miss anything during your visit. If it’s your first time in Menorca, you cannot miss the coves of Macarella, Macarelleta, Mitjana, Mitjaneta or Cala en Porter as these are the most famous and probably the most paradisiacal you could see. 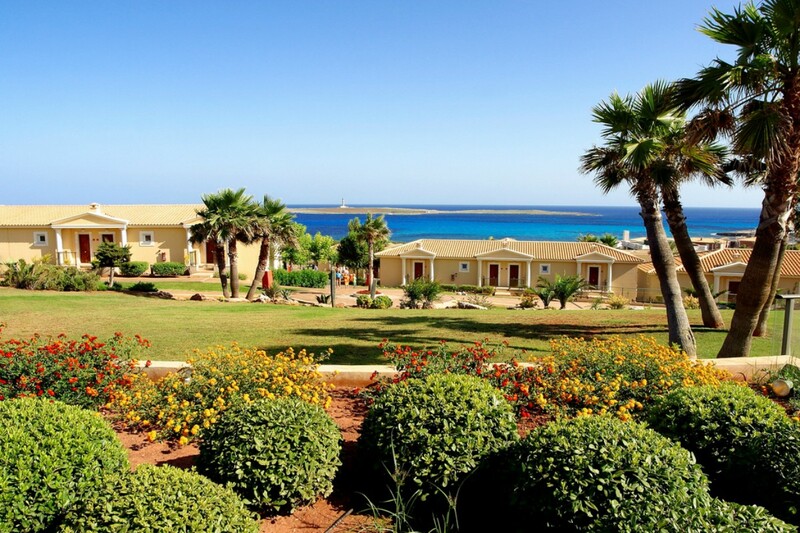 Located about 60 minutes, approximately, by car from our Insotel Punta Prima Resort & Spa. We recommend that you reserve a full day for this escape. However, the island has even more unique beaches, for example, Cala Pregonda or Cala Cavalleria. Located in the north of Menorca, its landscapes are totally different from the rest of the island because of its reddish sands that contrast with the turquoise blue of its waters. Mahón and Ciutadella are the two most populated cities of the island, the first being the capital and the other the most stately, therefore they deserve to be visited. In Mahón what will impress you the most is its huge natural harbour, considered one of the best in the world, which is why it has always been the object of desire by foreign armies such as France or England. On the contrary, the Ciutadella does not have any natural harbour, but neither does it lack. It is a city, which for its elegant aesthetics, seduces all that visitor who walks through its narrow streets. It is worth walking its port until you reach the Castle of San Nicolás, located in the old town, and go for a drink in the Plaza Ses Voltes or the Borne, among other activities. However, there are also very unique small towns that deserve to be visited. The most famous is Binibequer, a fishing village built in 1972 that at first glance can look like a theme park, as its whitewashed houses and its countless narrow streets form a labyrinth where it is very easy to get lost. However, we must remember that these houses are inhabited, so silence is requested in order to respect the neighbours. The island also has innumerable gems of its prehistoric past, the most famous of all being the Naveta Des Tudons. It is the most emblematic monument of the Balearic Islands and the oldest in Europe. This type of construction dates from 1000 BC, were very typical in that period since it was the place where the deceased were buried along with their personal belongings. But another place that deserves its mention is the Torre D’en Gamés, the most important town in the Balearic Islands. It is estimated that between 1300 a.C. They could live around 900 people in this area. It is believed that it exerted certain supremacy over other towns on the island due to its elevated location, its numerous buildings and its water collection system. It is a visit you must do and we recommended to do as very calmly as you don’t want to miss the innumerable details of this town. It is a Natural Park where you can find hundreds of species of animals and plants, which include waterfowl such as herons, anatidae, cormorants, or raptors such as the osprey. The area has several bird watching spots and three routes to take where we can end up at the Faro de Favaritx. In this place you can enjoy a landscape that has nothing to do with those that exist in Menorca, as it has steep cliffs and slate rocks more typical of a lunar landscape than the terrestrial one. These are some of the places to see in Menorca, ideal options to enjoy as a family too. If you are looking for an all-inclusive charming hotels for families, Insotel Punta Prima Resort & Spa is what you are looking for. It has a fantastic resort enabled for the little ones and three outdoor swimming pools where you can bathe all and play for hours. If you need extra information don’t hesitate to contact us. We hope that this article has been a great help and we recommend you to read others like “What to see in Menorca with children?” So that your family holidays are unforgettable.